Are there any countries in the world where Genealogists.com cannot perform research? Genealogists.com has over 1,500 professional genealogists around the world who can access records in more than 2,000 archives and 80 countries. Genealogists.com is privately owned, and is operated by a group of professional researchers. Where is Genealogists.com physically located? Genealogists.com is a virtual firm, meaning we do not have a central location. Most work is performed at home or in local archives. Where is most of your research conducted? Our research is conducted at any of over 2,000 archives and hundreds of countries throughout the world, This includes the world’s largest genealogy libraries such as the Family History Library in Salt Lake City, government archives, private and public libraries, government facilities such as courthouses, and numerous other repositories of information available throughout the world. Our researchers are also trained to take advantage of the thousands of online resources on the internet, including subscription databases. What areas of expertise does your firm have? Because we have over 1,300 genealogists, we have expertise in many specialties, including genetic research, religions, races, and timeframes. 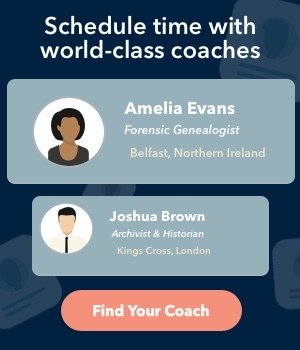 We also have hundreds of historians, private investigators, forensic scientists, DNA experts, university professors/scholars, and archivists working worldwide. As a result, unlike any other research firm, Genealogists.com can access the over 90% of records needed for family history research that are not online. Option 1 – Package. This option provides the best opportunity to meet your project’s specific objectives and is based on our pre-research and the information from our researchers in this area. The “package” provides the best overall pricing. Option 2 – Hourly. You can also purchase research by the hour. The cost depends on the amount of research you want us to perform. The more hours you purchase, the less the hourly cost. Note: We do not charge for documents in our original quote, since we do not know in advance which specific documents will be found nor what the fee for those documents will be. We suggest therefore that you pre-authorize up to 10% for document fees. This includes fees for archival copying and for actual birth, marriage, or death certificates if they are civil records and translation. In many cases the pre-authorized amount is not reached. If the costs required exceed this amount, we will contact you beforehand. What are the qualifications of the researcher who will research my project? The research for a project is often done by more than one researcher depending on what expertise and onsite access is needed. We have over 1,500 professional genealogists, each with varied credentials and certifications. Many are members of professional organizations and societies. Many are Accredited Genealogists (AG) or Certified Genealogists (CG). Many have FamilySearch certifications or university degrees in Family History. Everyone who works on your project has been chosen because of their experience and education performing the type of research your project requires. How long will it take for you to research my family? The amount of time the research takes depends largely on the objectives of your project and the availability of records. Effective research takes time in order to get good results and requires patience. The length of time typically varies from a a few weeks to several months. The average time is a couple months. What will I receive at the end of the project? Research Report. This document provides the results of our in-depth research and analysis, footnoted with the records we found. Research Calendar/Log. A compilation of all sources searched in conjunction with this project. Recommendations for future research once we have completed this project. Optionally, we provide family charts, deluxe binder, and private web page for sharing. You can see examples of research reports. The report includes suggestions for the next steps you can take in your research. If you don't find any records for my family, will I get a refund? When you purchase research from us, you are paying for the expertise of our researchers, their years of experience and training to perfect their talents. You are also paying for their ability to reach those unusually hard-to-access records. We guarantee that we will research repositories thoroughly; however, we cannot guarantee that the archives will contain the records you seek, nor that the records found will contain the information needed to meet your objectives. If we spend time researching on your behalf, we cannot provide a refund. We do however provide a report showing each search we performed, whether or not it was successful and the information that can be gleaned from each search. Start by making a research quote request. We will then provide you a quote for your research project.